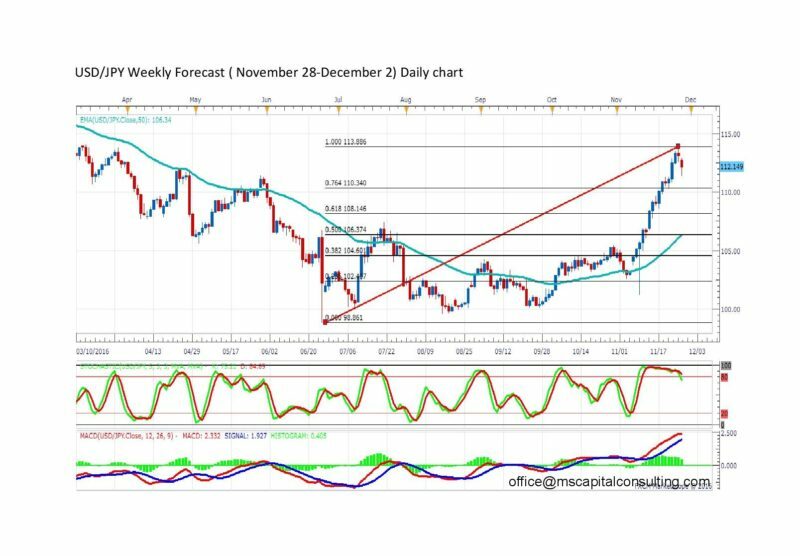 According to the daily chart, the top for USD/JPY currency pair was at 113.88. 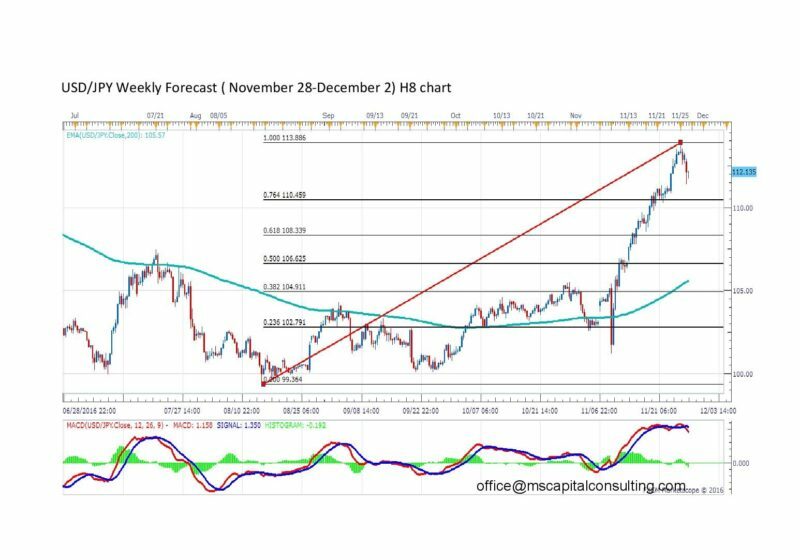 The price may retrace until Fibo 61% (108.14), in the medium long term. The stochastic oscillator has started to fall and also the MACD may be negative in a few days. The MACD on the 8 hour chart is already negative for USD/JPY. The price may fall at Fibo 61% (108.33), in the medium term.